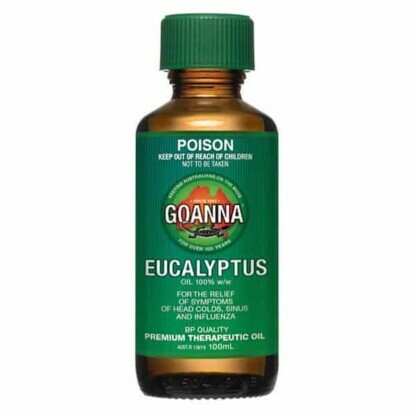 GOANNA Eucalyptus Oil is a product no household should be without due to its multiple household uses. Traditionally, Eucalyptus Oil has been used for the relief of symptoms of head colds, influenza and sinuses. Around the house, GOANNA Eucalyptus Oil can be used to remove chewing gum from hair and other surfaces, grass-stains, grease, some glues, ink, lipstick, tar and shoe polish marks on fabric, carpet and clothes. 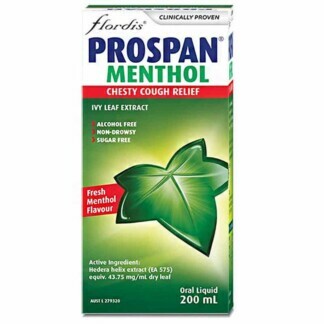 Helps relieve the symptoms of head colds, influenza and sinuses. Multiple household uses for cleaning. Removal of chewing gum, glue, ink, lipstick, grease, tar and shoe polish. Adults and children 12 years and over: Add a tea spoon to a jug or bowl of boiling water and use as inhale vapours. Pour a few drops into a handkerchief or pillow to help clear blocked noses. 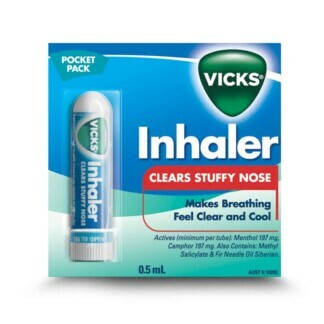 It can be rubbed in the chest area. For external use only – not to be swallowed. Not to be used for children under 12 years old. Do not mix with other chemicals or detergents. If skin or other irritation occurs, discontinue use. Eucalyptus oil can be poisonous in large amounts. Founded in 1910, the GOANNA brand has been trusted by generations of Australians to provide effective relief of muscular aches and pains and other conditions such as arthritis. GOANNA products combine natural bush ingredients with modern pharmaceutical research. While you won't find any goanna fat in our products anymore, you'll find the formulations offer soothing and fast-penetrating relief. Always read the label. Use only as directed. If symptoms persist contact your healthcare professional.